Thinking of applying for a dance associate programme? If so this post is for you! 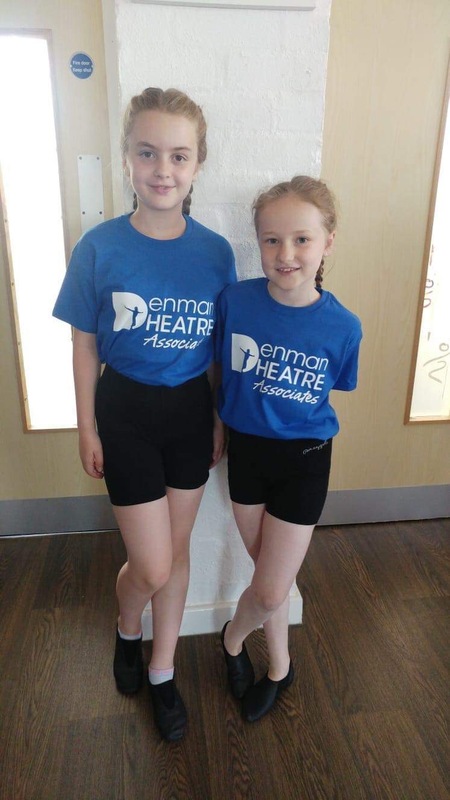 A few of our Jaykays students have been attending various associate dance programmes for the last year. 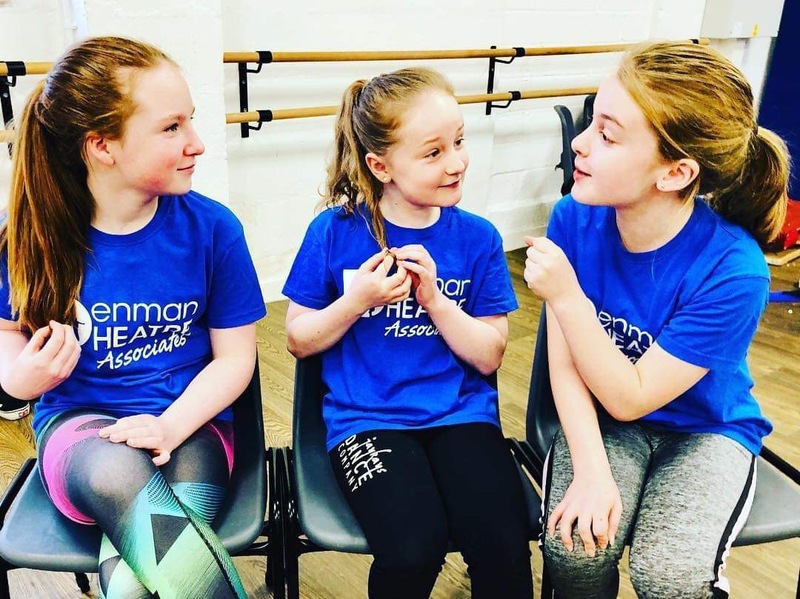 Dance associate programmes have been designed to nurture a students dance education alongside their local dancing school, and offer them opportunities to be taught by experts in their industries. Students will typically attend once a month, they will need to audition and make a payment up front for the year, and possibly purchase a new uniform. We are now approaching the application and audition months for these programmes and I have been approached by new students and parents interested in giving it a go. In response I thought I would ask the students currently attending the programmes a few questions to find out about their audition process and what to expect. 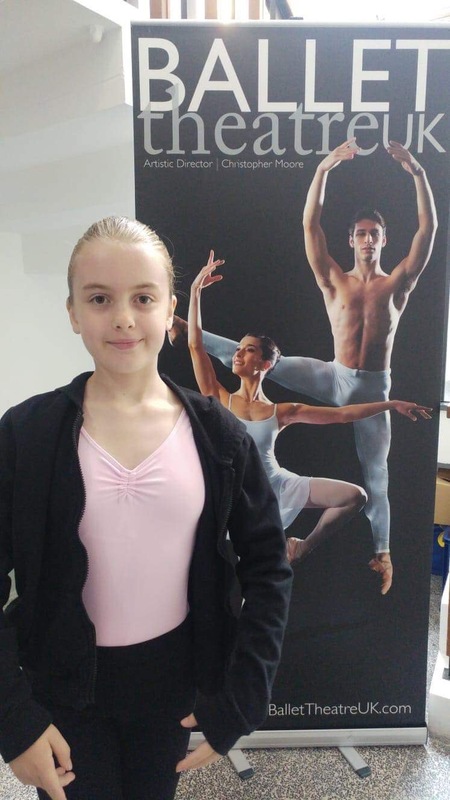 We have students attending The School of Ballet Theatre UK, The Midlands Jazz Associates and Denman Theatre Associates. Have a read about what they have to say about their experiences so far. Ria: – I was very nervous before going to the BTUK audition because I wasn’t sure I would be good enough to get in. I had hurt myself in PE and was worried I wouldn’t be able to dance as well as I normally can. 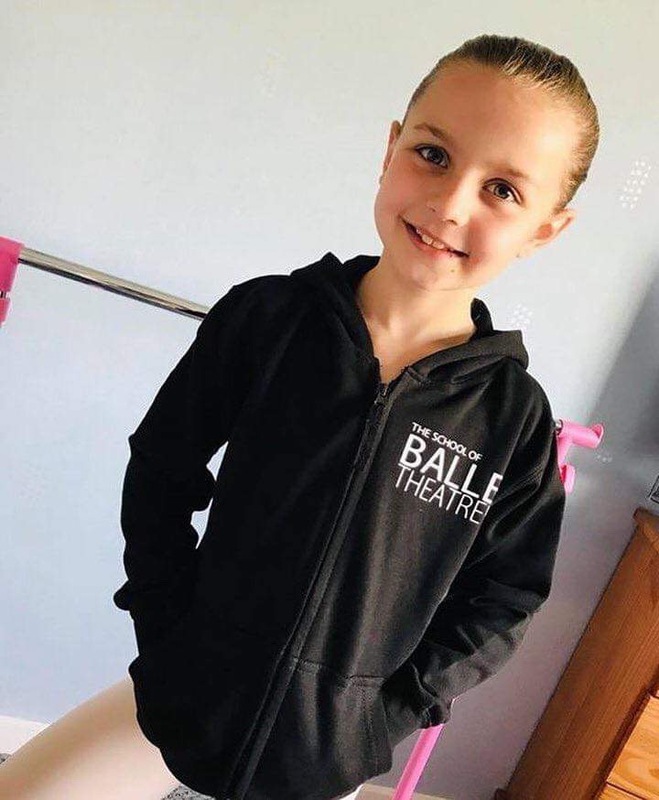 At the audition I was given a number and we were asked to do lots of different things like barre work, leaps, turns, corner work and difficult steps some that I had never heard of before. The teachers were really nice and as the audition went on I felt more confident. When my mum got the email to say I got in I was really happy. Before going to my audition at MJA I was really excited because I had seen lots of the class work on Instagram so I knew what to expect. When I arrived at the audition I was given a number and asked to stretch. We then met Jamie who was really nice and then we were taken into a studio. Jamie told us he wasn’t looking for us to be perfect he wanted to see our potential. We then did about an hour of conditioning and corner work. We then had 20 minutes to learn a really hard commercial routine before we split into small groups to practice for another 10 minutes. We were then taken back into the studio to perform first as a big group then in smaller groups. The whole audition was so much fun and just felt like a masterclass. Audition tip – practice your kicks and leaps for your corner work. More importantly enjoy it have fun and smile. Bailey: – I was really nervous when I went for my BTUK audition because I’d never done anything like it before and I didn’t know anyone else there. I gave my name at the desk and went upstairs to the studios where everyone else was waiting. Mum & Dad weren’t allowed to wait while I auditioned so they left when I went in. I had nothing to worry about because it was just like having a ballet class and the teacher was really nice!! There were also 3 other people from the school watching. It was a bit scary because some things I didn’t know how to do but I just copied the teacher & did my best. And then I got an email to say I had been accepted! When I auditioned for Midlands Jazz Associates I was on my own and didn’t know anybody. I was really nervous but excited too. There were lots of people there that had already danced with the jazz associates before so that made me a little bit more nervous & I was one of the youngest. We went into the dance studio & did a big warm up. Then we learnt a dance routine taught to us by Jamie who runs the programme. We also had to do a bit of free styling in the routine which was fun! There were two other people also watching our audition. Audition tip – don’t worry about it too much, they are not looking for people who know how to do everything already, there was lots I didn’t know how to do. Just try your best. Good luck! Missy: – When I auditioned for BTUK I was nervous at first because I was going somewhere I’d never been before, and I didn’t know what to expect as I hadn’t auditioned for an associate programme before. Once I arrived and got ready to dance I was fine, and really enjoyed it. 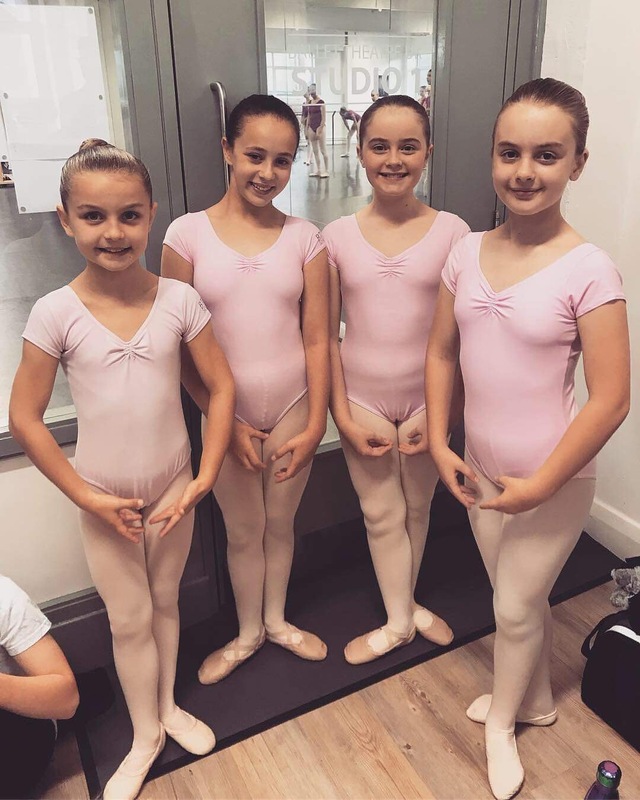 It felt just like a normal dance class, we were asked to do lots of things such as leaps, turns and corner work – mostly things that I’d learned at Jaykays, we did lots of barre work too. The teachers were all really friendly and reassured not to worry if we didn’t know any of the steps as they just wanted to see what we were able to do. The Birmingham Royal Ballet Associate Programme audition was a bit different to BTUK, it lasted longer and we were split into smaller groups. The steps they asked us to do were more advanced and they also asked us some questions about ourselves and the kind of dance we do. They were very friendly though and I felt prepared as I knew all the things they were asking us to do from my Jaykays classes. I went to this audition for the experience, it was a really nice dance studio and I just made sure I did my best. 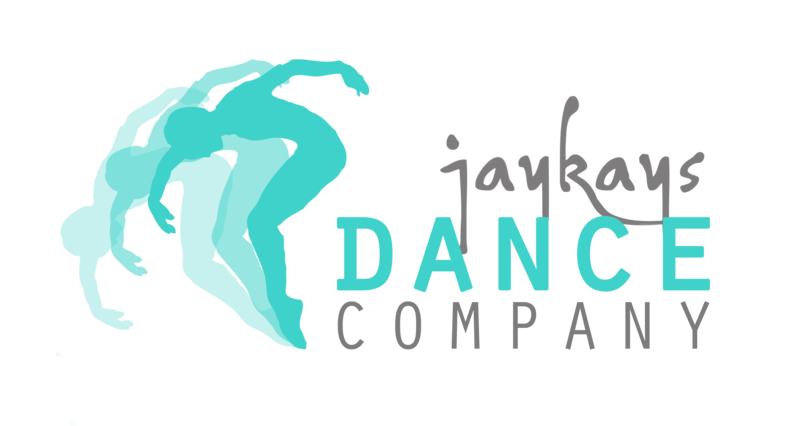 I really enjoy auditioning as it’s a chance to do more dancing in a new place, if you remember what you learn at Jaykays, smile and relax you will be fine, just enjoy it! Audition tip -speak to your Jaykays teacher before you go as they will be able to give you some things to remember during the audition. Most importantly though have fun! Sydney: – My advice for auditions would be to be yourself, try not to be shy, don’t be afraid to bring out your individuality, be confident and show off your skills. You will most likely do some corner work involving leaps, turns, kicks, then have opportunity to show off own tricks and learn a routine. Wear a coloured leotard to stand out. Please come and ask us anything at all if you have any questions before auditioning. Don’t think that you can’t do it, you can! We register & meet our teachers for the day. We warm up & sometimes play a warm up game. The group is split into Juniors & Seniors & we all do a dance, acting and sometimes singing class. All the classes are themed on certain musicals & the teachers we have usually been in the musicals we are learning. Do you always have the same teachers? We always have Mike & Khiley who are really nice & kind, and they talk to us a lot. They’re very loud! They always praise us and cheer for us when we perform. Then at every session we have two new teachers. We’ve learnt a lot about characterisation and lots of different dance styles. I’ve learnt lots of songs from musicals I didn’t know before. What’s been your favourite session & why? My favourite session was the Charlie & the Chocolate Factory workshop. We learnt two different musical numbers & I really liked the Verucca Salt song. Verucca’s song changes from her being really angry to being really sweet & innocent, so it was fun doing that. Why do you enjoy going? I like meeting new teachers every time & learning what musicals they’ve been in. Do you think you’ve improved by going? Yes, I think it’s improved my confidence with singing solos and have having to read script and say lines in front of people I don’t know very well. I am going to Sheffield in the summer holidays to go to the Denman Summer Intensive which is something I wouldn’t have been brave enough to do before. What did you have to do in your audition? Mike taught us a routine to Revolting Children where we had to sing and dance. We didn’t do anything on our own. Audition tip – to really use your facial expressions! 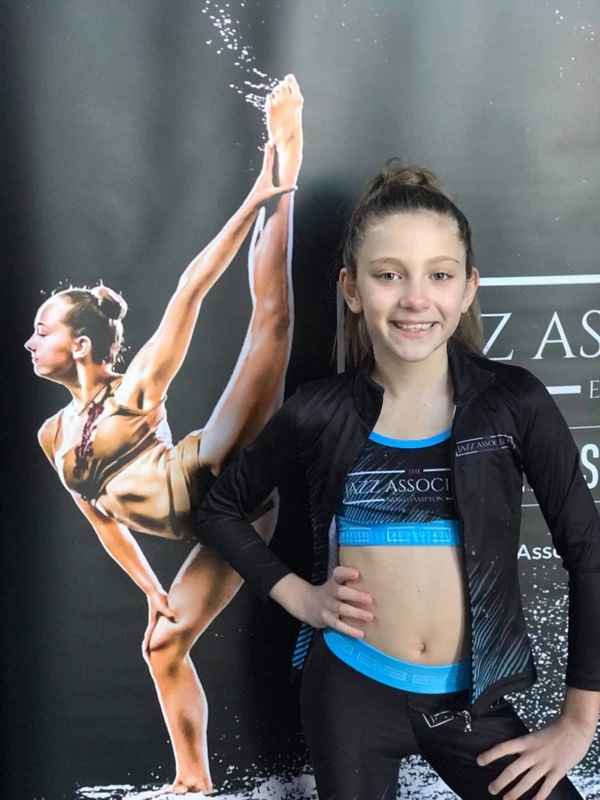 Each workshop has an intense warm up, then could include floor work, corner work, jazz technique, commercial/jazz routine, which is then videoed in group sessions and small groups, you maybe picked out for a select group which Sydney has been, followed by a cool down. Then a small break for lunch, where we are actively encouraged to talk and make friends with people we don’t know. Then the 2nd session starts with the other guest teacher. Jamie comes to watch parts of each session. The groups are divided by junior and seniors, we each have a session with each teacher. SJA takes place at dance studios in Northampton. We love the uniform, really comfortable to dance in, lots of different styles and options. Guest teachers so far have been: Adam Scott; Joshua Pilmore; Graeme Pickering: Jordan Isaac; Andrew Chawner; Joel Cooper. The sessions are sassy and full out and we love them! SJA uniform, also bring jazz shoes, foot thongs, and trainers. We have 2 guests teachers per session. Rosie: – how to do my split leaps better and on both legs. Inspired by peoples high kicks, flexibility and technique has encouraged me to do better and try harder. Improved my confidence, happy to walk in a class where I don’t know anyone. Learnt moves I wasn’t aware of and didn’t think I could do. Sydney: – different commercial styles. helped to develop jazz technique and learnt different styles of jazz I was not aware of. Bothof us has made new friends. 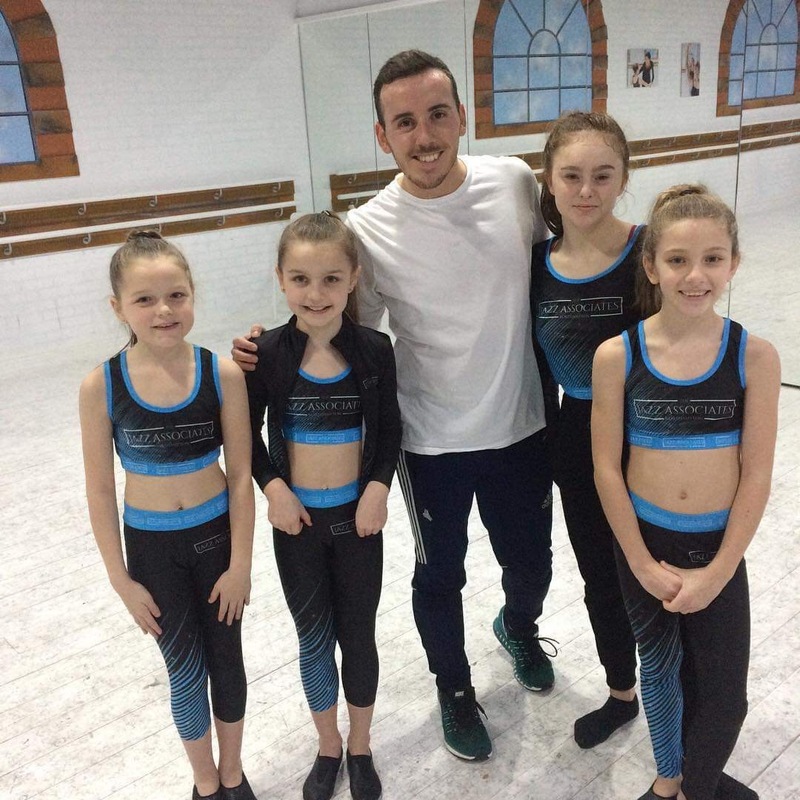 Joshua Pilmore was our favourite teacher so far – he would explain the routine step by step and slowly. Good fun, liked his energy, learnt a lot. Every session is completely different and we learn something new in each workshop. It’s helped us decide what our favourite styles of dance are. Helps improve our flexibility which helps with our Jaykays classes. I like seeing how different people add their own styles to routines. Really good experience and fun, helps with all other dance classes. Rosie: – Yes, my jazz technique is much better I feel. 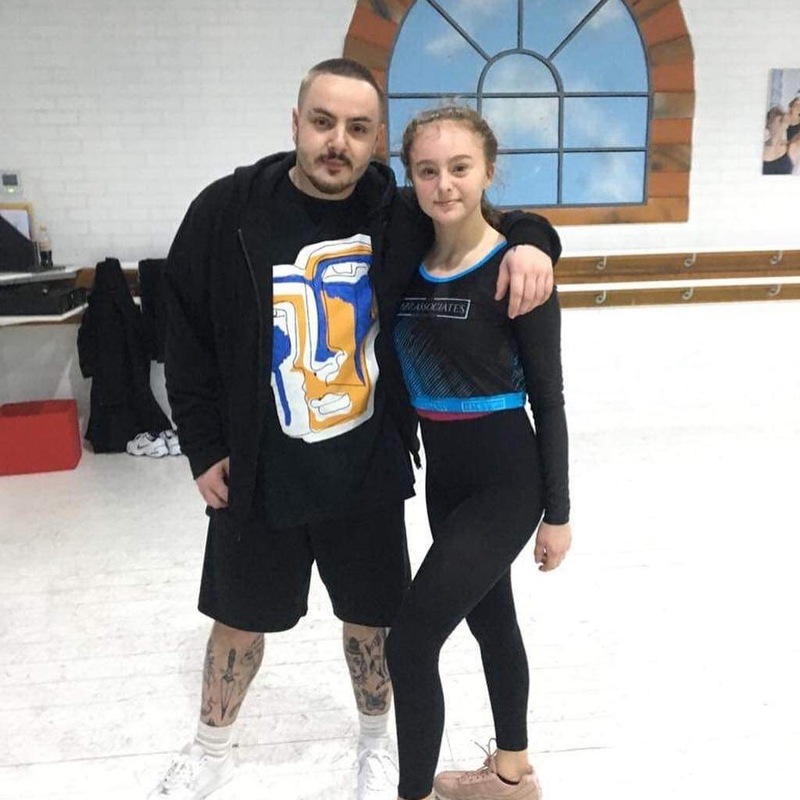 I feel more flexible and confident in Jaykays classes, and I took the sassyness learnt in these workshops to my Spice Girls routine in the show. Much more confident in trying new moves and dances now. Sydney: – Yes, I’ve got better at adding my own style to routines. Helped in my classes at BOA with flexibility and technique. Did you have any worries before your audition? Rosie: – I felt very nervous, I was worried to go by myself but now I feel I could go in a class by myself. Sydney: – has given me the confidence to believe in my ability. Audition tip – Don’t think that you can’t do it, you can! LOTS of ballet. We work very hard. I always leave with rosy cheeks and a glow! We wear a pink leotard with ballet tights & shoes. I normally wear my warm up boots on the way there and back home again. Yes, unless one is ill. Mine is called Miss Masterman. She’s nice and smiley, but quite strict! We have done some pirouette work, done technique work and a whole heap of other things! Yes, my technique has improved and I’m a lot more confident. We work really hard. There’s not a lot of time to talk to the other people in my group. It’s nice to have a new teacher that I don’t normally have. It’s really well equipped – there are mirrors all along the walls so you can see what you’re doing, and lots of barres. Audition tip -Don’t put too much pressure on yourslef, relax, smile and have fun! How long have you been going to BTUK? I’m on my second year now & I love it! The first part of the session is stretching and conditioning, then we do some barre work & then we have a little break. After that we do corner work where we practice leaps & pirouettes with partners. My teacher is called Miss Masterman and she’s lovely. I have her every session. I’ve learnt lots & feel like it’s really helped me with ballet at Jaykays. I’m learning how to pirouette in classes now! It is hard if you don’t have anyone you know in your class but when you talk to people it’s easy to make friends & I have a made a few who I sometimes see at festivals too!